A former colleague of 2020 Democratic presidential candidate, Senator Elizabeth Warren, said she shifted from conservative to liberal in a Damascene conversion after years watching bankrupt families pushed to the brink by big banks. Warren, a Massachusetts Democrat, is a former finance professor at Harvard Law School and the University of Texas at Austin. But for many years she was a Republican; until the mid-1990s when she registered as a Democrat. The 69-year-old is an expert on bankruptcy law and worked with the Obama administration to create the Consumer Financial Protection Bureau in 2011, a regulator under threat because the Trump administration wants to scrap it. “She really did have a ‘Road to Damascus’ conversion when she saw the bankrupt consumers really were suffering—forced into bankruptcy by illness, firing or divorce—and not predators,” Calvin Johnson, a law professor and former colleague of Warren’s UT Austin in the 1980s, told Politico. Warren refers to herself as a capitalist but she rails against the actions of big business and calls for better regulation of markets. 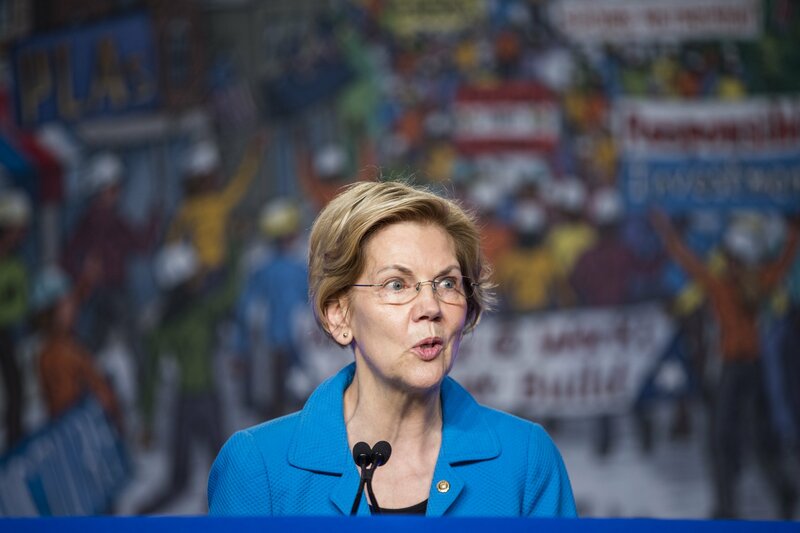 According to Warren’s campaign website, she wants corporations to pay more taxes, strong enforcement of antitrust rules, an “Ultra-Millionaire Tax” on America’s richest 75,000 families, and a crackdown on lobbying. It is a significant shift from her early-career free market conservative views on economic policy, one that happened over time. That process included watching families in financial hardship and saddled with consumer debt pushed through the bankruptcy courts. The Republican Party’s 2005 bankruptcy reforms, opposed by Warren, turned her into a full-blown partisan.